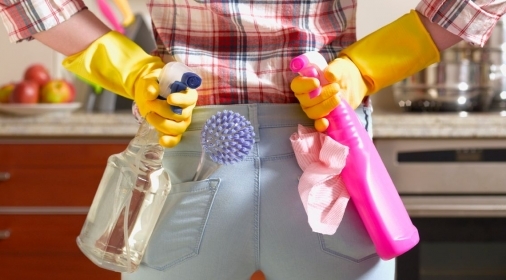 Research has proven that cleaning the oven is the most hated household chore, and certainly, it’s a task that many of us put off for as long as possible. However, the inevitable truth with oven cleaning is that the longer you leave it, the worse it gets! Therefore, we’ve put together 5 oven cleaning tips that will keep your oven sparkling clean all year round in between professional oven cleans, saving you both money and time in the long-run! This only takes a few seconds to do. When you spill or splatter some food in the oven, simply wipe them up immediately with some soap, water and a cloth. If food spills are not wiped up, they will go hard and burn when the oven is heated, making them much tougher to remove and creating a nasty smell within your oven. 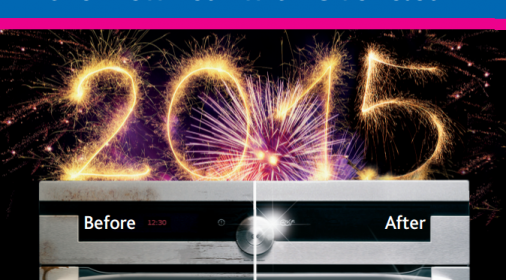 We recommend using a professional oven cleaning service every 6-12 months, depending on your cooker usage. If your oven has a regular deep cleaning using a professional oven cleaning service, you won’t need to do as much to stay on top of it all year round. You can keep the oven clean is to use an oven liner. These are matts designed to catch any food or drips, which can then be easily removed or cleaned. 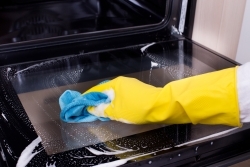 If you’re not sure how best to use an oven liner, take a look at one of our other posts: How to use an oven liner to keep your oven clean. Alternatively, if you don’t have an oven liner, you can also use a piece of foil. Another tip for cleaning the oven is to use a roasting bag for meat, fish or even veg is an excellent way to minimise spills whilst baking. Not only will a roasting bag keep your oven clean, but it will also enrich the taste of your food by locking in the flavours and natural food moisture. As soon as you’ve finished using the oven, put a heat-resistant bowl of water inside and heat at a high temperature for 20 minutes. This will help loosen dirt and grease. Then when it’s cool enough, wipe the interior surfaces with paper towels. This creates easy oven cleaning and means there won’t be as much work which needs to be done when it comes to needing a proper clean. 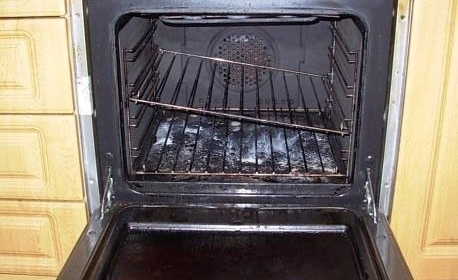 If your oven is looking a little worse for wear and it’s in need of a deep clean, you can request a free quote by calling us on 0800 840 7127, or completing our online form.